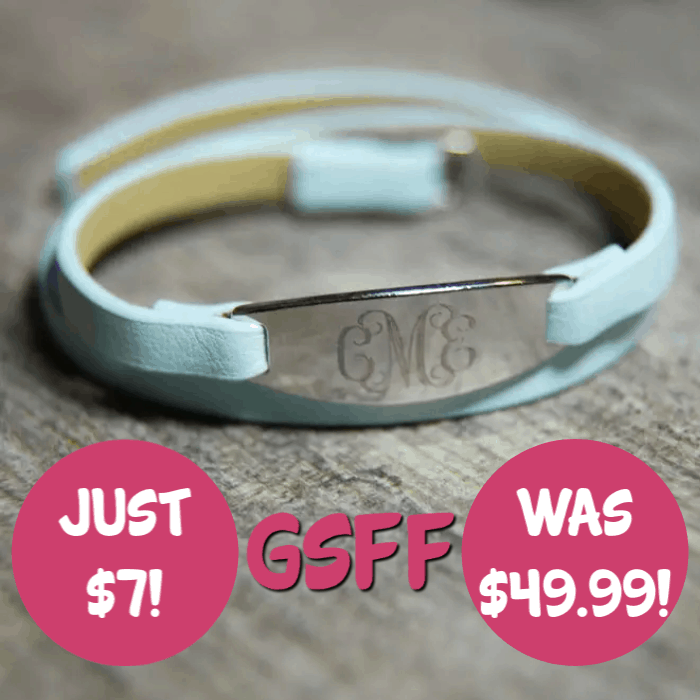 Personalized Oval Leather Bracelet Just $7! Down From $50! PLUS FREE Shipping! You are here: Home / Great Deals / Personalized Oval Leather Bracelet Just $7! Down From $50! PLUS FREE Shipping! Don’t miss this deal from Jane! Get a Personalized Oval Leather Bracelet for just $6.99, down from $49.99, PLUS FREE shipping! Complete your outfit with this Personalized Oval Leather Bracelet from Jane! Whether you are wearing a formal or casual, jazz up your style with this accessory. It also makes a perfect gift giving idea to your family and friends! Has a 18-karat White Gold Plate. FREE Engraving of up to three letters. Choose from three available leather colors.